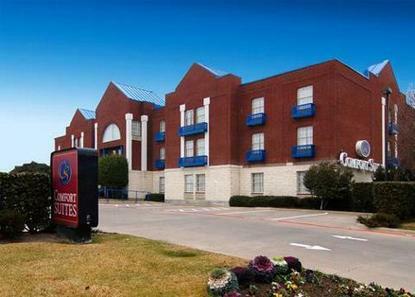 Located between Dallas Fort Worth Airport and the Texas Stadium in the center of Las Colinas business area. Hotel is 100 percent non-smoking. All Comfort Suites are smoke free. Reception (alcohol available at no charge) Monday through Thursday. Courtesy shuttle available within 5 miles from 6:00am to 8:00pm.